Open Sew is here, and it’s in the evening this month! 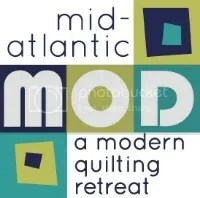 Join guild members at 7PM on Thursday for donation quilt sewing or bring your own project. Just be sure to bring your machine and an extension cord. Our generous host is Stephanie Mullin of the Church of Jesus Christ of Latter Day Saints, 209 Mountain Ave, North Caldwell, NJ. Please leave a comment on this post if you plan to attend so that we have a general idea of numbers. I’m hoping to make it!!!! I going to try and get there.